already figured that part out,over the years Nigerians has vibed to different types of dance moves,some of this dance moves were created by dance loving Nigerians themselves while some others were borrowed from different countries. Whatever the case may be,once a dance move goes viral in Nigeria,millions of people automatically key into the trend to dance the latest dance move. If your socially woke,you will notice that there is a new dance move that seems to be trending now,and it's called the shaku shaku dance,Nigerian celebrities seems to like this dance as it is now featured in literally all the new Nigerian music videos. 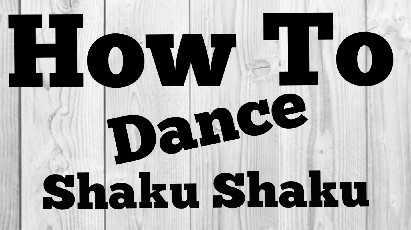 In this post we are going to take a look at how to dance the shaku shaku dance using an easy step by step tutorial guide and also check out the history and origin of shaku shaku dance and some other viral dance moves that Nigerians has danced to over the years. his hit track called ''Somebody Call My Name''. The Alanta dance was once the coolest dance move back then,the dance which originated from the ghetto was characterized by the squeezing of the face and raising of legs. This dance step was made popular by Terry G the akpako master. How many of us remember the days of mad melon & Mountain Black,the singers that sang the 'danfo driver song' that reigned for many months in Nigeria. Those singers made the suo dance to become popular. The Makossa dance which originated in Cameroon actually was once the hottest dance move in Nigeria. The popular Makossa singer Awilo longomba made the dance to become a viral sensational dance in Nigeria back then. Charle!! The Azonto dance was one of the trendiest dance that went viral across West Africa and Nigeria also caught the trend. The Azonto dance originated in Ghana and was made popular by rapper Sarkodie and Fuse ODG. The etigi dance had Nigerians shifting their behinds in a funny way,the etigi dance is a traditional dance step of the Efik/Ibibio tribe in Nigeria,however Iyanya who is from Cross River state made the dance step popular by using it in his music videos back then,he literally modernized his traditional dance and made it popular. The shoki dance was a massive viral dance step that made Nigerians never want to stop dancing,the dance move was made popular by the young rapper 'Lil Kesh' when he was signed to YBNL Records. The one corner was a viral dance move that originated in Ghana in 2017. The dance move went viral across West Africa after Ghanian artist Patapaa released the song titled 'one corner'. records released a video of them dancing the one corner dance. Back in late 2017 Nigerians were literally looking for any song to dab to,the dab dance movement was caught by social savvy Nigerians who began to dab at any slightest opportunity,the dance move which originated in Atlanta USA became one of the coolest dance move in Nigeria some months back. The shaku shaku dance is the reigning and current hottest dance move in Nigeria. This dance move originated from the streets of Agege Lagos and was made popular by artists like Slimcase,Mr Real & Idowest. There is no doubt that the shaku shaku dance originated from the streets of Lagos state at the end of 2017 and spread throughout Nigeria. However the artists that are credited with the success of the dance move is Slimcase,Idowest and Mr Real. Olamide also made the dance step to gain more popularity by releasing dance skits on social media and releasing songs like 'Science Student'. Some of the shaku shaku inspired songs rocking the streets of Nigeria include Oshozondi,Shepeteri,Legbegbe,Issabanger,Diet and Shempe. Put your hands crossed i.e put one hand over the other hand like your making an 'X' sign. Move your legs in an 'out' and 'in' sequence,make sure that your body is moving in the same direction. Try to perform step 1 and step 2 simultaneously in other to dance the shaku shaku,this is also known as the 'stiff shaku shaku'. When you have mastered the leg movements, you can go ahead to add other freestyle styles using your hands,it musn't be only the 'X' sign. Make quick kicks with your legs in such a way that you can see the side of your feet. While making the quick leg movements make sure that you position your body outwards and lean to the side of the kick. Move your arms in any direction and add any style or swag to the dance moves. Stand straight with your legs astride. With your hands slightly crossed, make a false unfinished) leg move to the right. Move the upper trunk of your body slightly in rhythm in the same direction. Repeat the same move to the left side. The shaku shaku dance is actually easy to learn all you have to do is to practice the dance often with a dancable song till you get the hang of it. Which of these dance moves are your favorite and why? Tell us in the comment section below.